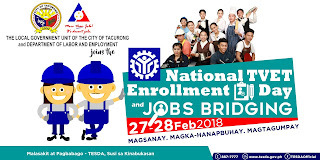 LGU-Tacurong and TESDA Sultan Kudarat is accepting applicants for the TECHNICAL-VOCATIONAL EDUCATION and TRAINING (TVET). 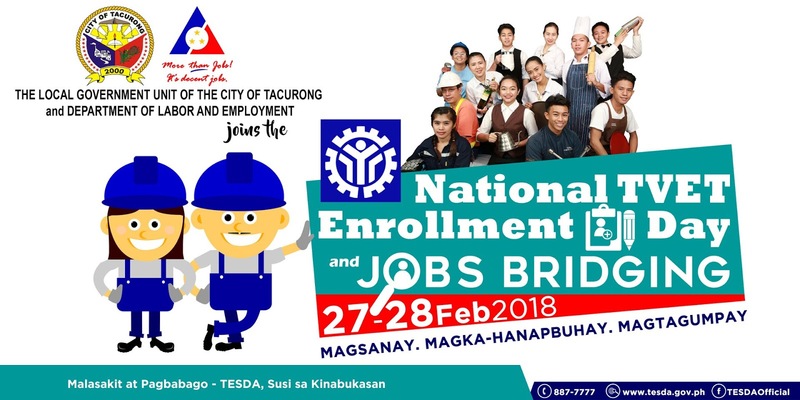 Enrollment will be on February 27 - 28, 2018 at the Tacurong City Cultural and Sports Center. PRE-LISTING is accepted at the City Social Welfare and Development Office (CSWD) but applicant must be present during enrollment. -other beneficiaries that may be identified by the EOs/ROs/POs in close coordination with partners.